The Best Food Magazines from thousands of Food Magazines on the web using search and social metrics. Subscribe to these websites because they are actively working to educate, inspire, and empower their readers with frequent updates and high-quality information. Food Magazine newsletter is a comprehensive summary of the day's most important blog posts and news articles from the best Food Magazine websites on the web, and delivered to your email inbox each morning. To subscribe, simply provide us with your email address. About Blog Cook with confidence. Enjoy your food. Find recipes, search our encyclopedia of cooking tips and ingredients, watch food videos, and more. Facebook fans 2,261,394. Twitter followers 3,272,189. Facebook fans 2,316,814. Twitter followers 6,711,606. Ladue, Missouri About Blog Feast Magazine broadens the conversation about food and engages a large, hungry audience of food lovers. Feast delivers the best in the St. Louis, Kansas City and the Midwest region's culinary scene with in-depth coverage of restaurants, bars, craft breweries, wineries, distilleries, farmers and more. Facebook fans 53,646. Twitter followers 52,315. Santa Barbara, CA About Blog Edible Communities celebrates local food, season by season, community by community. With a network of more than 90 independently-owned, locally-focused magazines and websites across the U.S. and Canada, we are the largest media organization devoted to telling the stories and sustaining the efforts of the farmers, chefs, food artisans, fishers, vintners and home cooks who feed us. Facebook fans 48,709. Twitter followers 14,292. About Blog Food & Nutrition Magazine® is published by the Academy of Nutrition and Dietetics, the world’s largest organization of food and nutrition professionals. Award-winning magazine published by the Academy of Nutrition and Dietetics. Facebook fans 25,190. Twitter followers 34,054. Johannesburg. South Africa About Blog Find the best recipes for any occasion at Food & Home. Find quick and easy recipes, gourmet feast, and more. Get the scoop on the latest foodie news, restaurant openings and travel destinations. Facebook fans 53,878. Twitter followers 21,459. Facebook fans 26. Twitter followers 3,903. Chicago, IL About Blog Delicious and delectable delicacies delivered daily. Follow us for the inside track on Chicago's booming restaurant population. Facebook fans 36,643. Twitter followers 12,864. Australia About Blog GRAM magazine is a monthly compilation of how a city experiences all things food and drink. It does away with traditional magazine formulas, offering instead a snapshot of articles, opinions and reviews, published online by local food bloggers. It has been created to give its readers access to varied, unbiased and unedited opinions about eating and drinking throughout the city, from independent and local sources. Facebook fans 4,772. Twitter followers 5,503. CONGRATULATIONS to every Magazine that has made this Top Food Magazines list! 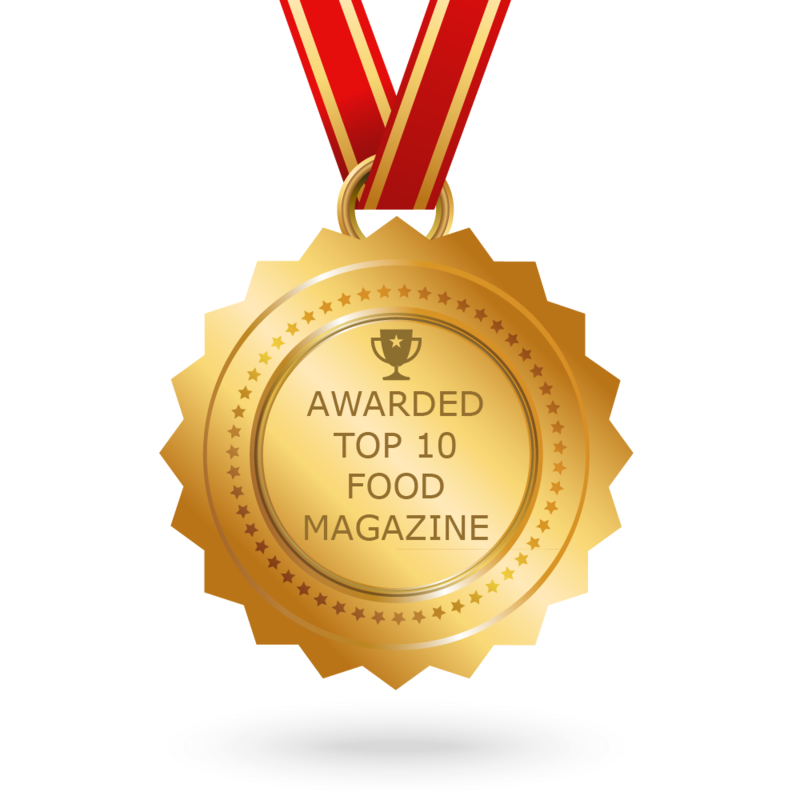 This is the most comprehensive list of best Food Magazines on the internet and I’m honoured to have you as part of this! I personally give you a high-five and want to thank you for your contribution to this world.